I don’t think I have ever read anyone writing about self-loathing, disappointment and despair in such a respectful and attentive way as Anne Lamott. It is very easy to identify with Lamott’s narrator, even if her problem may be slightly different from yours, it doesn’t really matter. When the specificities of a certain life is put in parentheses, our common daily struggle for living decent lives in a much too complicated world, is much the same. Identification is important, but what makes Lamott’s writing into art, is her unexpected twists – when she, for example, suddenly makes something tragically into a comedy, or; when she, in the middle of a very strange story, suddenly let the reader meet herself – mirrored – in the most unexpected situations. do know the sorrow of being ordinary, and that much of our life is spent doing the crazy mental arithmetic of how, at any given moment, we might improve, or at least disguise or present our defects and screw-ups in either more charming or more intimidating ways. 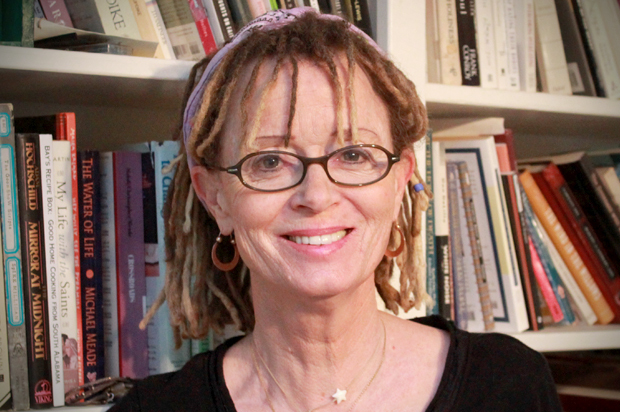 The two books I have been reading, and the lecture I have listened to, are all very much about Anne Lamott, she doesn’t try to hide the fact, BUT what surprises me, is how much they all also are about me – . She’s such a breath of fresh air. She runs deeper and truer than she lets on, too. Her words are always welcome in our household. agree: a breath of fresh air – unafraid and vulnerable at the same time. Lamott’s writing always reminds me of a favorite Donald Murray quote: “the more specific you are, the more universal you are.” Murray enjoyed limited U.S. success in the mid ’80s when he proposed teaching writing as a process, stressing the individual uniqueness over the social aspect of writing. It sparked some lively discussion and softened some stiff-upper-lip academics including myself, word by word. Thanks, Sigrun. So true – the more specific you are, the more universal -, but isn’t it strange that this can be the case?! Bird by Bird is one of the most practical book on writing I’ve read. That was some years ago, but I still remember how it got its title… one bird at a time. Thank you for introducing me to Lamott. I am listening and reading her book as well. Enjoying immensely.